The new Inception poster is out! I love it! It’s Escher meets Hitchcock! Now Cobb is being offered a chance at redemption. One last job could give him his life back but only if he can accomplish the impossibleinception. Instead of the perfect heist, Cobb and his team of specialists have to pull off the reverse: their task is not to steal an idea but to plant one. If they succeed, it could be the perfect crime. But no amount of careful planning or expertise can prepare the team for the dangerous enemy that seems to predict their every move. An enemy that only Cobb could have seen coming. This summer, your mind is the scene of the crime. The power house cast includes Ken Watanabe, Joseph Gordon-Levitt, Marion Cotillard, Ellen Page, Tom Hardy, Cillian Murphy, Tom Berenger and Michael Caine. I can’t imagine anyone giving a poor performance out of these actors. I am so pumped to see this movie. Nolan is a master of this sort of film noir storytelling, and the concept takes this to a whole new level. The obvious question will be if he can steward a Ledger-esque performance out of one of his actors, and if so, which one? My bet is on either Joseph Gordon-Levitt or Ellen Page knocking it out of the park. Holy Blockbuster, Batman! It’s A Release Date! It doesn’t have a name! It doesn’t have a script! Heck, it hasn’t even started casting yet, but we have a release date! 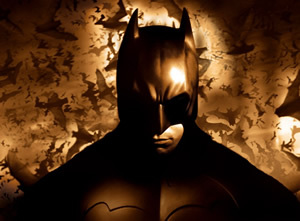 Christopher Nolan’s magnum opus in the Batman universe will be released on July 20th, 2012. This doesn’t give Nolan a lot of time to complete the movie, especially considering that work still ongoing on Inception (release date: July 16th, 2010) according to CHUD.com. So now, the big question becomes, who is going to be the villain? Thus far, the movies have been pretty firmly based in this version of reality, with the most fantastical bad guy being The Scarecrow, and he wasn’t that unrealistic of a character. So, does this mean we’ll see a more technologically enhanced villain like Mr. Freeze (Patrick Steward, please?) or a skills based villain like Catwoman or The Riddler? I’m sure the decision won’t be an easy one. Heath Ledger left some pretty big shoes to fill. It would be interesting to be in on the conversations between David Goyer and Nolan, trying to figure out where to take things. Personally, I’d like to see Catwoman as she’s always been a favorite. And that leads us to the next big question: “Who to cast?” Some fanboys are leaning towards Angelina Jolie or Megan Fox, but that’s too obvious for my taste. What about Anne Hathaway or Amy Adams? Or go the completely unexpected route and cast Dianna Agron or Amanda Seyfried. Will there be bats in her bellfrey? Remember when they were casting for Iron Man’s Black Widow, Emily Blunt was originally offered the role, but she turned it down due to scheduling conflicts with Gulliver’s Travels. At the time, the word was that Marvel would then offer her the female lead in an upcoming project. Well, it looks like the rumour is true, because the studio offered her the role of Peggy Carter, Captain America’s WWII sweetheart. The scuttlebutt is that Blunt has her eyes on the role of Catwoman in the third of Christopher Nolan’s Batman movies and won’t take on Captain America to avoid scheduling conflicts. There is also some thought that Marvel does not like to have its people playing in DC’s sandbox and she doesn’t want to jeopardize her chances by pitting the studios against each other. I’m not sure about the accuracy of that rumour considering Ryan Reynolds’ role as Deadpool in Xmen’s Wolverine and the upcoming spinoff hasn’t prevented him from filming Green Lantern (DC). At any rate, this is still very much conjecture at this time. You can get the complete details over at Batman on Film. 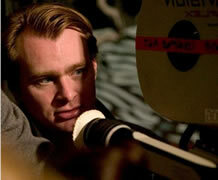 Life must be pretty fantastic for Christopher Nolan. He’s worked on some of the most influential, innovative and successful movies of all time. He stewarded Heath Ledger through the performance of a lifetime (tragically) and is one of the few to really master the art of non-linear story telling; Memento is a film that needs to be watched and re-watched several times before the full genius of it sinks in. With the Batman franchise, he managed to supplant what fan’s of the Dark Knights considered to be the penultimate interpretation of the character – Batman the Animated Series. After the disastrous state the movie franchise found itself in after Joel Schumacher was finished with it, the character needed a visionary to bring it back to life. Thankfully, that’s what the fans got. Saying that Nolan exceeded expectations for Batman Begins is an understatement. And we all know what happened with The Dark Knight. Which I think for fans will be much more satisfying to have a complete story arc instead of an ever expanding series of adventures, that will eventually peter out when either the interest or the quality runs out. And fanboys and girls let out a collective sigh of relief. So what will Nolan do when his work is complete on Batman? Personally I haven’t felt this excited about a new Superman story since The Death of Superman back in 1992. 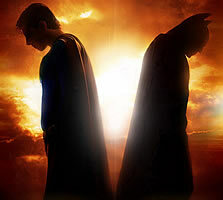 So, what to do until the latest Batman and Superman movies are released sometime in 2011 and perhaps 2012? 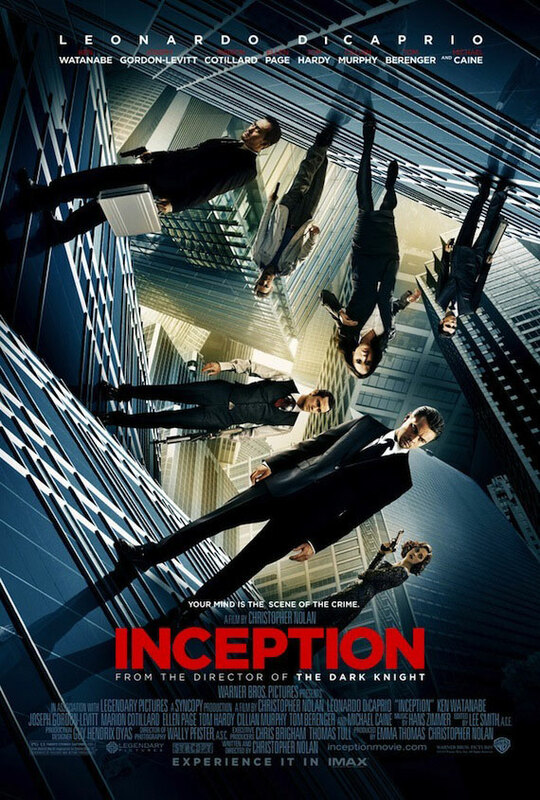 Nolan’s latest oeuvre, Inception, staring Leonardo DiCaprio, Ellen Page, Marion Cotilliard, Ken Watanabe and Joseph Gordon-Levitt opens July 16th.